Oh wow! Can I just say how excited I am about how this page turned out? hehe! 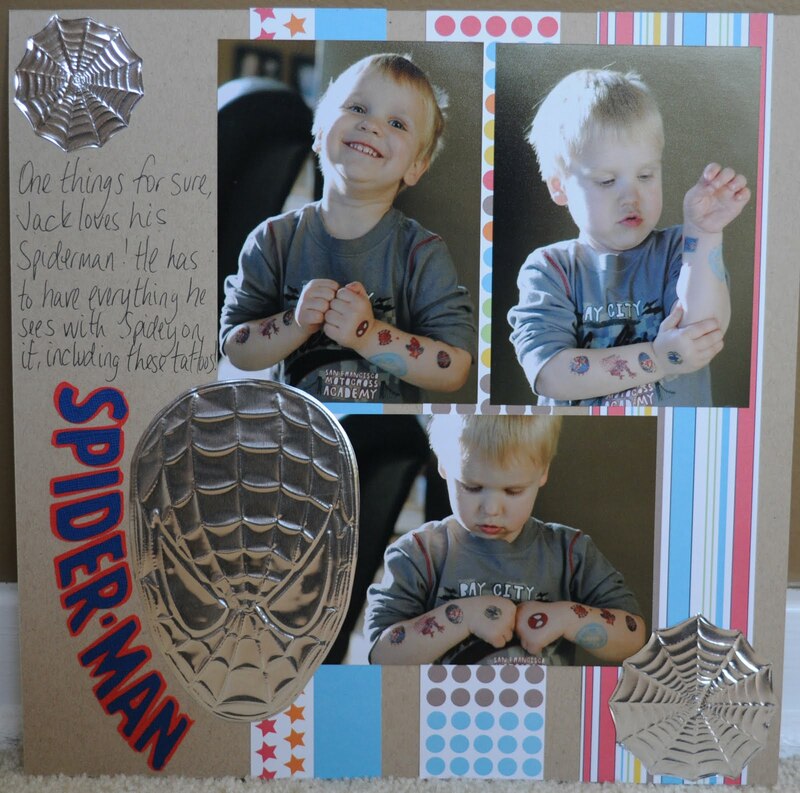 My Jack is crazy crazy crazy about Spiderman, and I thought, how cool would it look if I embossed Spidey? Well the answer, according to Jack, is "so tool"! If something is tool to Jack, you know it is good! 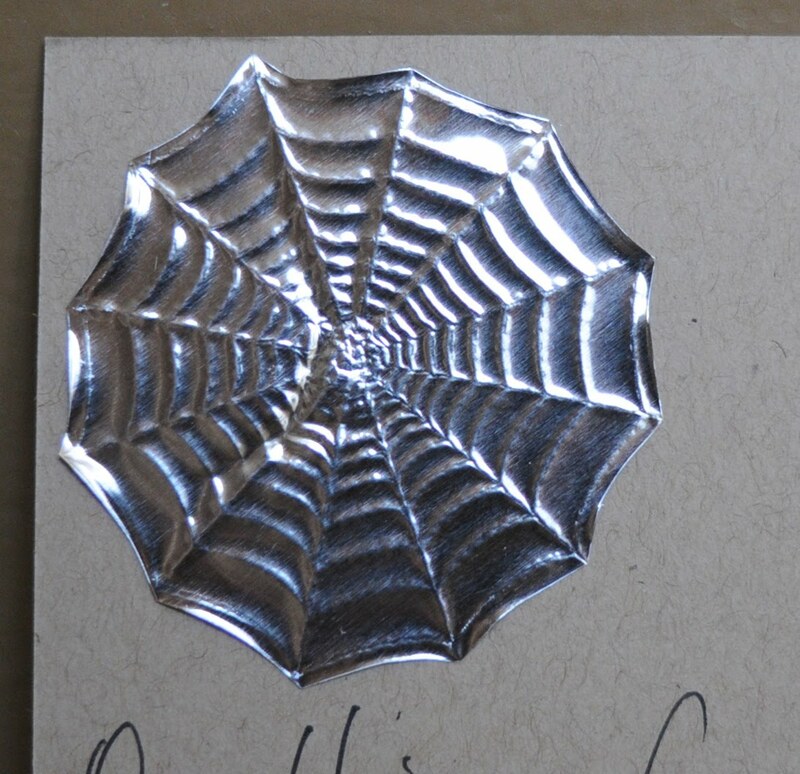 Then I thought I would try to do some spidey webs as well for this page, and they turned out tool as well! 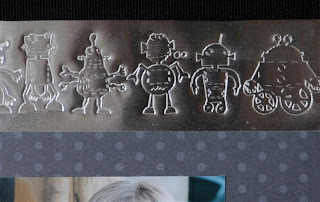 I used the embossing kit for the Cricut (which is in stock and shipping now on the right hand side of my blog) and some of the Ten Second Studios metal sheets. 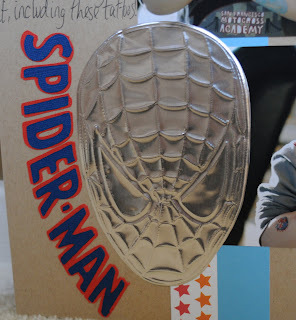 I just cut around my design after it was done, it was easy to do with this aluminum! Even though Denise over at Paper Pastimes is super duper busy, she had time to put together this super cute cookie tower for a birthday party using the mini gel pen holder. 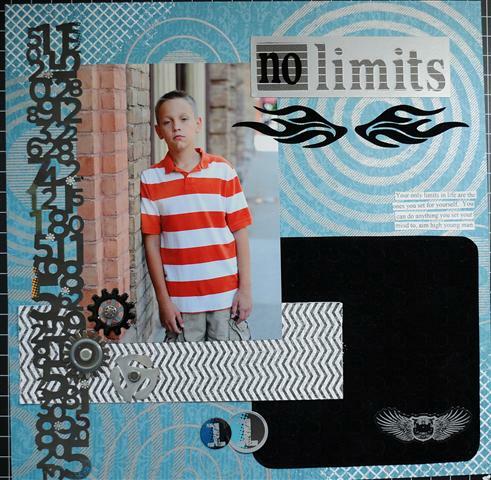 The Silhouette has sooo many cool designs you can download in their online library, and a lot of them are made specifically for using drawing tools in the Silhouette machine! We have a winner!!! 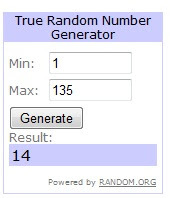 Lucky #14, Christina!!! Congrats! 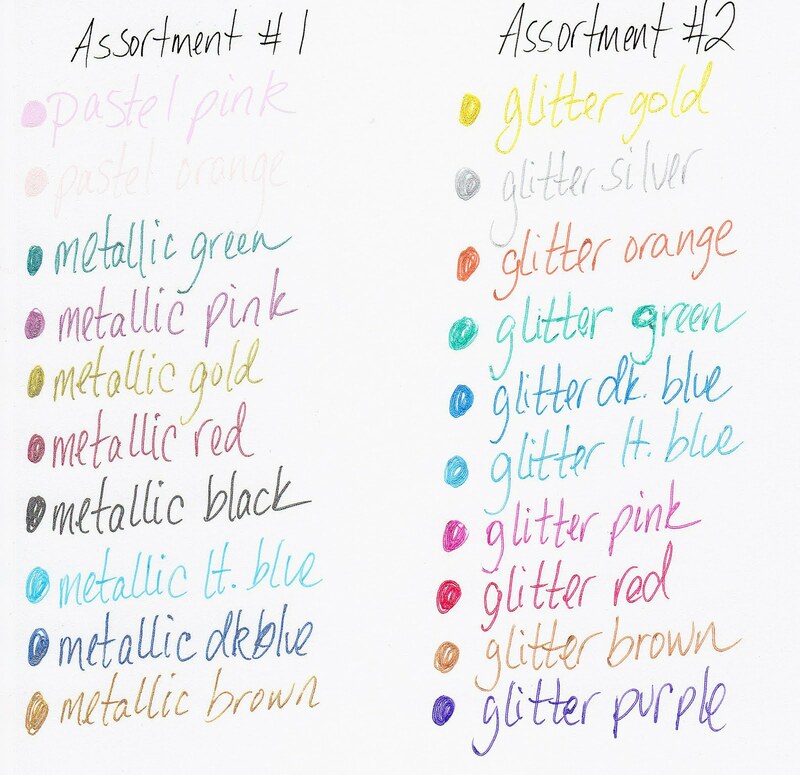 Contact me at amyc222@yahoo.com with your info and I will ship your gel pens! You have a week to contact me, until 5-2. Thanks for another fab candy!!!!!!!!!! I think I may have a new obsession!! Heat transfer vinyl! I'm so glad I haven't done all of my kids' T-shirt shopping this year, because I want to do a bunch for them, as they are easy to do!!! The favorite so far I did for Ella, at school you are known as a bucket filler or a bucket dipper. 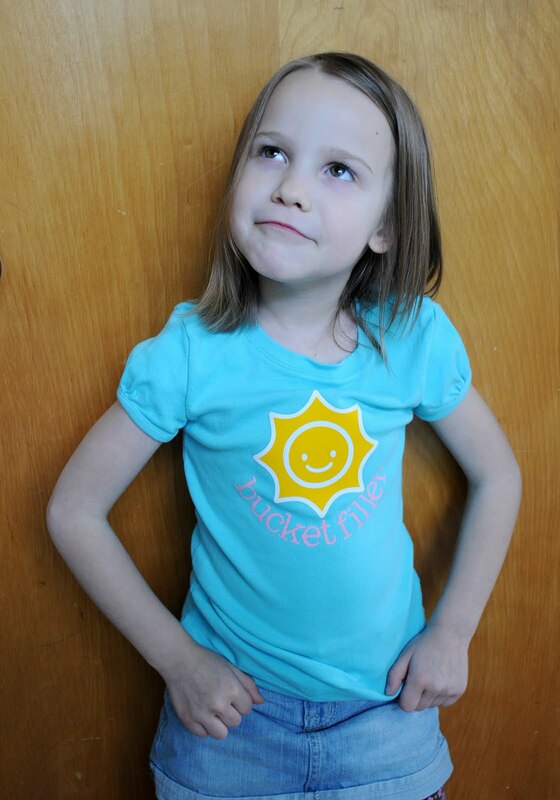 Ella loves being a bucket filler, someone who is kind and giving to others (I found out later there is a book about this, going to have to get it for my house to show Jack hehe). She got to wear it to school and show her teachers and she was so proud! And while I was at it, I had to do one for Jack as well! Of course he loves his to! Ooooh I couldn't wait to post this layout for all to see! I do like how it turned out of course, by the main reason I couldn't wait is cause of how much I love this photo of my niece that I took! Look at those cheeks! This is one of my favs I have of the little peanut! 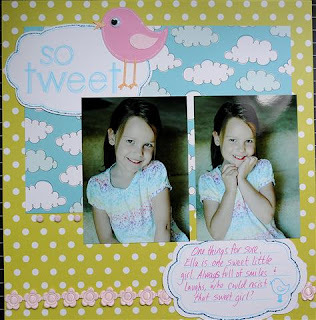 I used the new Cricut Create A Critter on this one, I just love the lil critters on there and have sooo many ideas with it, hehe! I also did the journaling lines with the mini gel pen holder we sell! Makes it easy to do that journaling! Well I have a big suprise!!! 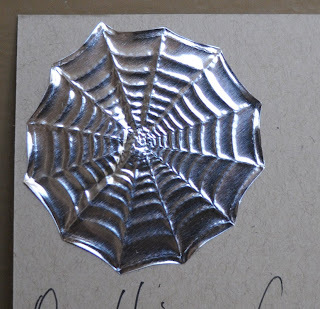 My first 30 pre-orders for the embossing kit shipped TODAY!!! The others will ship tomorrow! 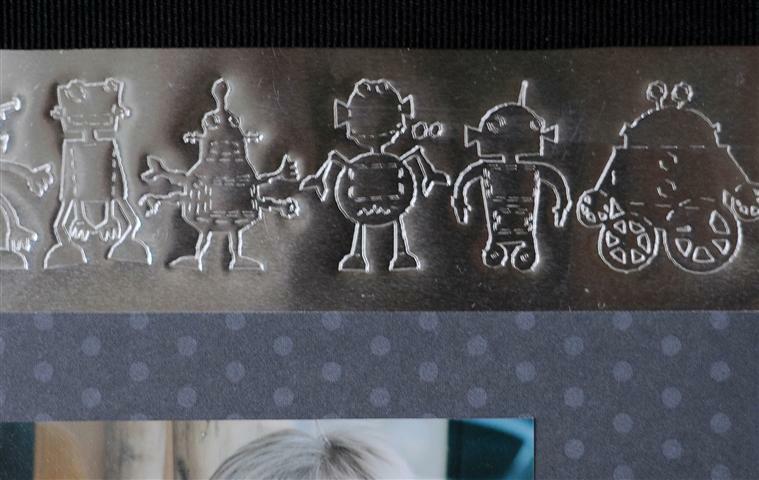 So if you ordered by 4-19 pre-order of the embossing kit, it will be shipped, and way before the end of the month!!! SUPRISE! Didn't want to overwhelm the post office, so I broke it up into 2 shipments hehe!!! 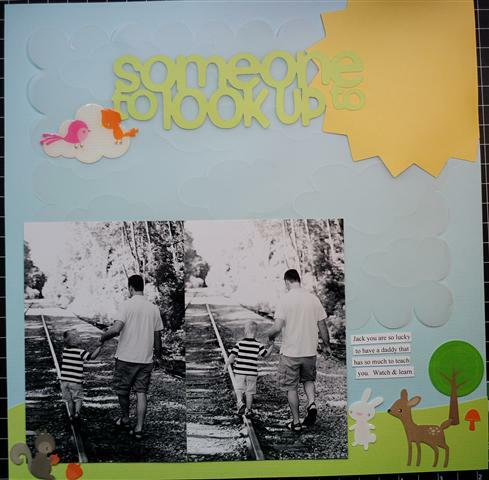 And while I'm sharing, here is another embossed layout! 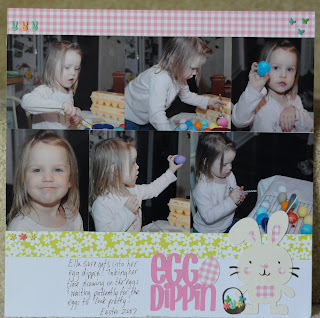 First I cut the vellum paper using Kay's file here... 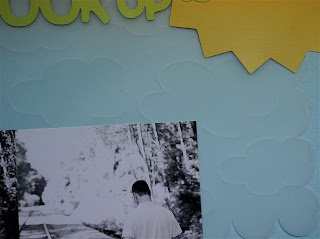 Clever Someday Then I drew the clouds with my Wacom tablet, then using the embossing kit, I added my cut vellum to my rubber mat, and embossed the clouds onto vellum! Somehow this weekend I got to SCRAP! Don't ask me how, as I juggled it between running errands, cleaning the basement, and being a mom! I just couldn't wait to show this, and knew everyone would enjoy it! 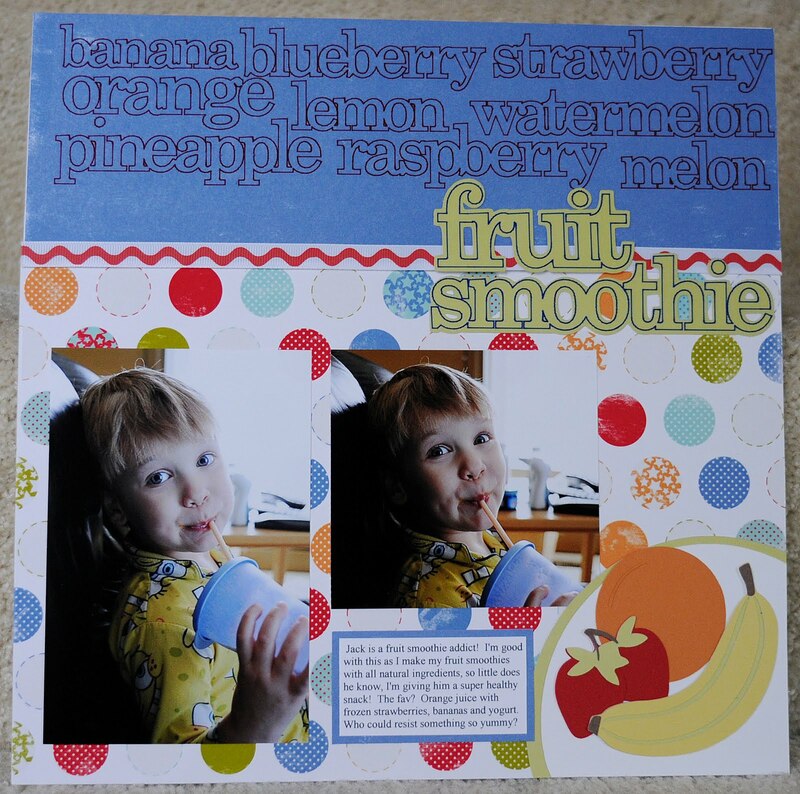 A new layout using Preserves! For this fruit loving family I knew I needed this one! Not that I do any canning, or pie baking, or jam making, but hey I make a mean fruit smoothie lol!! 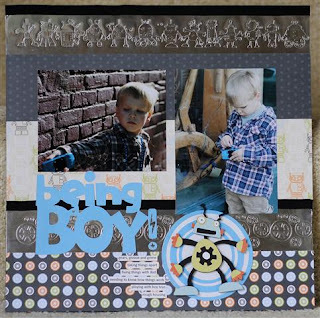 For this layout I used the ultra fine point Sharpie to draw all of the words on Quickutz clear adhesive sheets (love them, need more! ), and to draw the title. I just cut the fruits out of cardstock and layered them. As you can see, Jack really enjoys a fruit smoothie!!! Made in the USA!!! 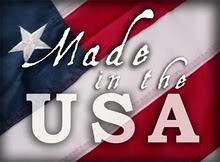 All of our holders are manufactured in the USA! Not only that, we are a father and son and wife operation! Well and the kids, that we work till their fingers are pruned (oh no pruned fingers???)! And we like it that way! American made! 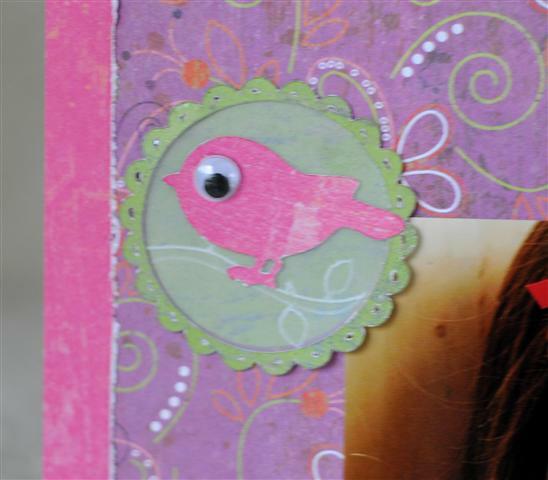 I gave Denise from Paper Pastime one of the mini gel pen holders to see what she could come up with! I think she is liking them as she opened them up and had to play right away hehe! I think that card fits Denise, she is berry sweet! I've had a lot of requests for a video using the Silhouette and the mini gel pen holders, and I'm sorry it took so long to get to, if you read my blog you will know why lol! Busy mom here! So here it is, the Silhouette video for my Silhouette friends! Sorry it isn't the best quality, this was done late last night! 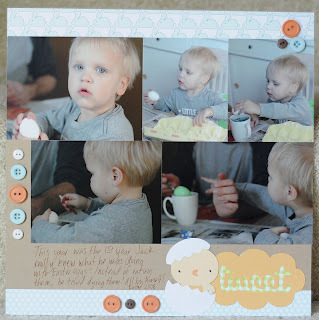 Yes I know I'm behind, most people get their Easter pages done before Easter, especially when they are from 3 years ago hehe! But here are a couple I got done at a crop this weekend, I didn't get much done, but oh well! I just like mom's night out lol! Can I just say how much I love the new Create A Critter? I'm not usually into the cutsie stuff, ok, so sometimes, but man is this CUTE!!! I just want more time to play with it lol! 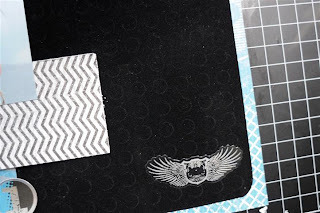 I've had a lot of questions about embossing on cardstock, and I'm sorry it took so long to post this! Slow I know lol! 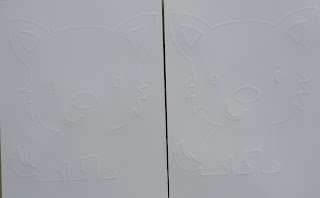 Here are 2 samples of embossing on cardstock. 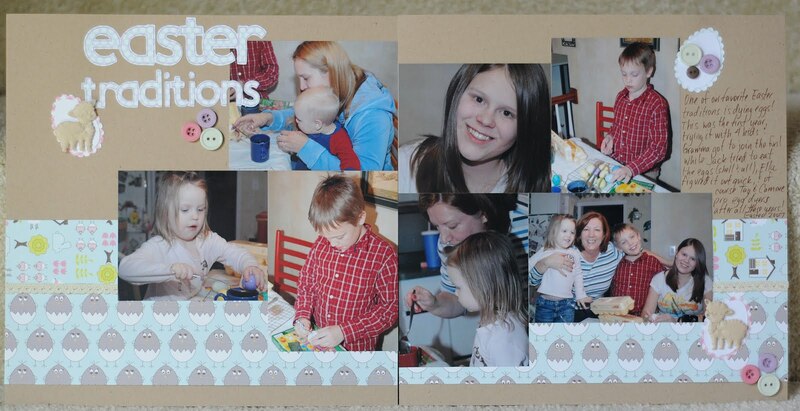 It works best on lighter weight, non textured cardstock, you do get more details that way. 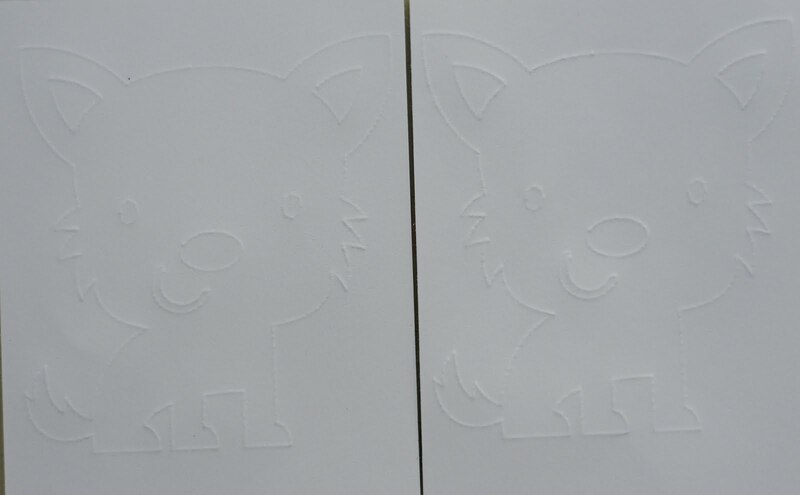 On the left side is running the embossing tip just once, on the right side is where I ran multi-cut 2. Make sure to click on the picture and view it full size. Here it is! The video you have all been waiting for! Wheeewh! What a week! I told you I've been busy! You may have noticed I've had a blog lift! Thanks to Dardi for all of her hard work, I love it! And I now have my very own blog button!!! So if anyone would like to put that on their blog, feel free! So the announcements didn't stop at the embossing kit for the Cricut, oooh no! We have more!!! That's right, 20 more colors coming your way within the next 2 months! The pastel pink and orange didn't show up as well as I would have liked, but they are darker and much prettier! 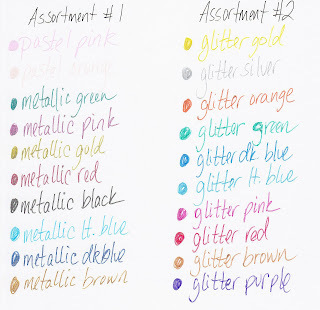 So that makes 2 pastel pen, 8 metallic pens, and 10 glitter pens in 2 different packs! And you don't have to buy my special pens, the mini gel pens you find at your local Staples will also work in the pens. I only picked up colors to fill in where those left off! I'll be announcing pre-orders for those within the next month, when I have an exact shipping date!!! I can't wait! Well it is here, the moment a lot of you have been waiting for!!!! After a lot of research and development, we are finally able to offer an embossing kit to use in your Cricut! The kit will come with a 12x12 sheet of rubber that fits on one of your current mats, new or old, and a pink embossing tip that fits in your blade holder. If you have the original Cricut, or the Create, no problem! 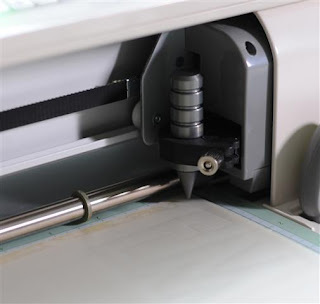 You can trim the material to 6x12 with no problems! The embossing kit is now available for order on the right side of my blog. They are in stock and shipping now! 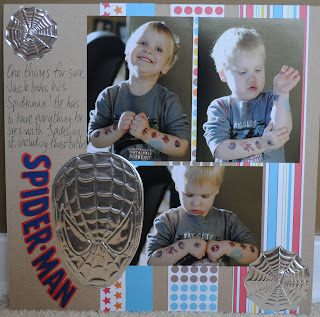 The embossing kit is $35, price includes shipping! Here are some more examples of what I've done with the embossing kit so far! On this layout I embossed the top and bottom of the title using Opposites Attract, and the branch the little bird sits on using Straight from the Nest. 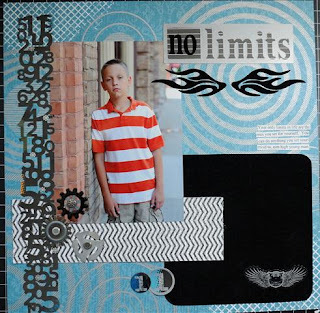 Here is another idea using the Quickutz metal sheets and the embossing tip. 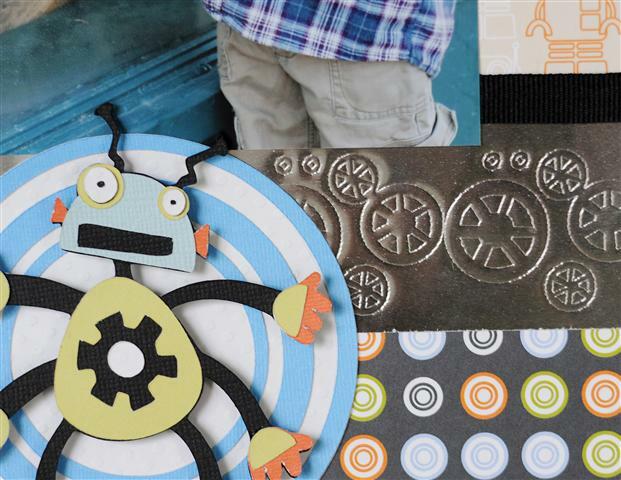 I embossed the little robot and wheel strips on this page using the Robotz cartridge. Look at the fine details!